PAYSON – Federal, private and local agencies signed an agreement Wednesday that will help protect a crucial water source for this city from the effects of wildfires. The agreement, which participants hailed for its collaborative nature, calls for forest-thinning, prescribed fires and other measures near the C.C. Cragin Reservoir north of Payson. During a wildfire, ash, debris and sediment can enter reservoir and waterworks, fouling the water, damaging facilities and costing millions in repairs. “It improves the health of the watershed, it reduces the risk of fire and it allows for more minimal damages if there is a fire,” he said. 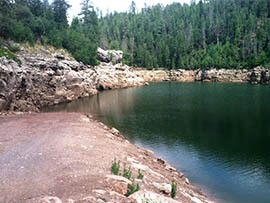 Other partners include the Salt River Project, which owns the reservoir, the National Forest Foundation, the city of Payson, the Bureau of Reclamation and the U.S. Forest Service. 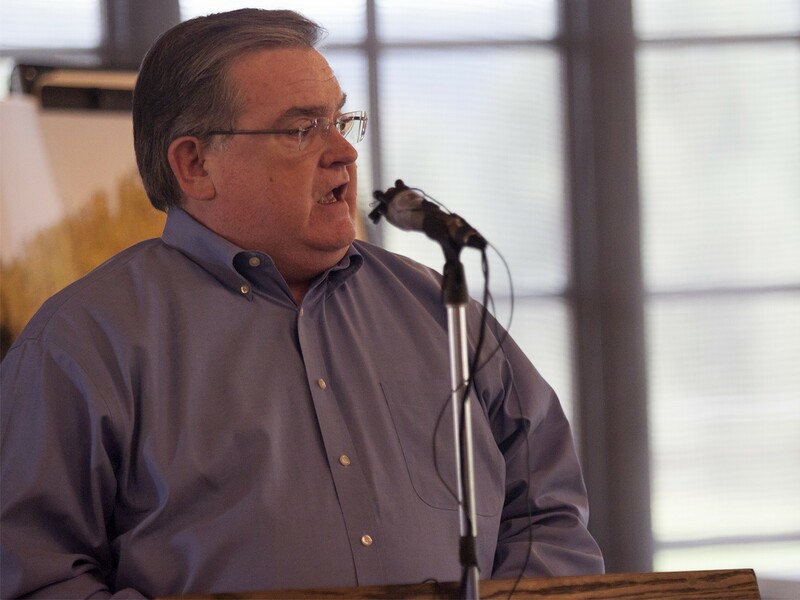 Bruce Hallin, director of water rights and contracts at SRP, said he has been pushing for the agreement for a year. The C.C. 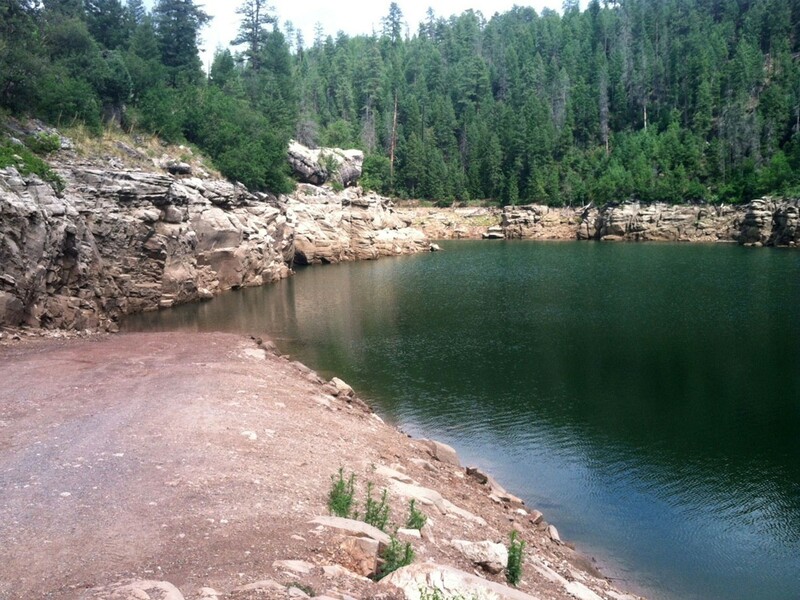 Cragin Reservoir is an important source of water for both Payson and the state, he said. In announcing the agreement, officials said three large fires have threatened the reservoir’s watershed since 2002. “We needed to move quickly before we saw a catastrophic fire take out that watershed,” Hallin said. 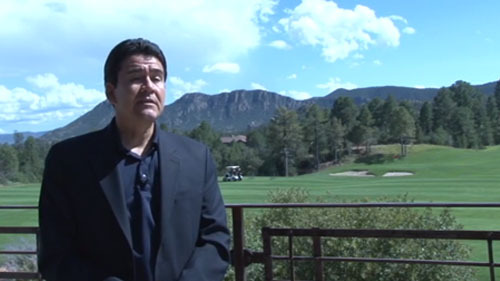 He added that it’s expensive to mitigate problems to the water supply after a wildfire has occurred. He estimated that it could be as much as 30 times the cost of prevention. A 2009 fire cost Los Angeles County $30 million to remove sediment from debris basins, and two fires in Colorado cost one water utility more than $26 million to dredge the reservoir and treat the water, according to a U.S. Department of Agriculture news release. Connor and Halin touted the agreement as a model for future agreements in Arizona and throughout the West. The Department of Interior and the U.S. Department of Agriculture are working on five similar programs in Colorado, California, Montana and Washington. Connor visited a reservoir in Colorado last month. “It’s already paying off,” he said. In Arizona, SRP is looking to partner with agencies and philanthropic groups to protect other water reservoirs, including one at Wet Beaver Creek near Sedona. “A healthy forest equals a health water supply,” Hallin said. Officials explain how this new agreement will benefit the C.C. Cragin Reservoir near Payson. Cronkite News reporter Lacey Darrow, has the story. Federal, private and local agencies have reached an agreement to use forest-thinning, prescribed burns and other measures to protect the watershed around the C.C. Cragin Reservoir north of Payson. Officials say the measures will prevent runoff from burned areas from fouling water and damaging waterworks. John Sullivan, deputy general manager of the Salt River Project, discusses the agreement at a news conference Wednesday in Payson. Explore C.C. 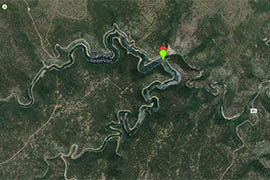 Cragin Reservoir and its surroundings.